Andreas Halskov's interest in David Lynch takes a multimedia approach (appropriately enough). He has recently written the fascinating study TV Peaks, part Twin Peaks analysis, part fandom study, part general television history. Throughout the year he has also been creating video essays in collaboration with Jan Oxholm, studying Lynch's effects through a close analysis of his images and, perhaps especially, his sound. My favorite of Andreas' videos so far is "What's the Frequency, David?" which hones in on, in Andreas' own words, "the conscious and the unconscious world – as if they were two frequencies on the same radio." It is precisely this sort of layered analysis that Halskov thrives upon; he has also written a Danish monograph called The Paradox of David Lynch, observing several of the seeming contradictions that define Lynch's work and lend it its appeal. Fascinated by Andreas' scholarly approach, enthusiastic demeanor, and various insights, I arranged an interview. The following conversation has been edited down from exchanges via email and phone. What motivated you to write this particular book; did you stick fairly close to the original idea, or did it evolve in new ways as you wrote it? Various factors motivated me to write this particular book. First of all, I had co-written and -edited an anthology in 2011 on modern American television drama, and in 2014 I had made a Danish monograph on the works of David Lynch. Both books were well-received here in Denmark, and that prompted me to go further into the question: Did Twin Peaks actually change television drama as we know it, or is that too simplistic a statement? I wanted to investigate the industrial, systemic and aesthetic changes in television from the perspective of only one TV show - one potential game changer. The emphasis of the book, if I understood it correctly, seems to be a dialectic between larger forces at work in the TV industry in the turn of the millennium & the unique auteurist qualities of what Lynch brought to Twin Peaks specifically. But besides that macro/micro viewpoint, do you think other factors worked to make Twin Peaks significant in TV history? What (or who) were these other factors? That was, indeed, my main point. Apart from Mark Frost, of course, I think that there are many factors at play, and I do hint at some of them. There are industrial factors, yes. And there are also auteurist factors, so to speak. But to these factors we could add technological factors (the sound design on Twin Peaks, for example, utilized some new technologies in terms of surround sound and sound editing, and they used a state-of-the-art low-angle prism when shooting the opening scene of the second season). The industrial factors, then, could be further subdivided into different factors, e.g. (1) the influence of the writer's strike and the fact the ABC were "languishing in last place" and, thus, willing to take a risk, (2) the birth of cable television and the interest in niche audiences, and (3) the birth of the VCR and the Internet as new platforms for intense fandom. What encouraged you to include the section on Scandinavia in the book despite its international audience? Was it part of the original concept, or something that developed as you wrote and researched the text? And did you consider more detailed studies of Twin Peaks' impact on other areas as well, besides the U.S. and Scandinavia? It was always my intention to look at modern television drama as a global phenomenon, and I guess there were two reasons for that focal point: First of all, I do not believe that we can easily describe modern-day television drama as a national phenomenon. Many shows are, in fact, transnational, and many TV makers work across borders and across different television industries. Second of all, my book is aimed at an American audience and a Scandinavian audience, both hopefully consisting of scholars, students and fans. As I got further into my project, I noticed from various Scandinavian TV creators that they collectively see Twin Peaks as an important game changer and an interesting point of inspiration. In some ways, this is as much a general history of American (and to a lesser extent, Scandinavian) television as of Twin Peaks - was that always your intention, and why did you decide to broaden the scope so much? I have always been interested in television history, and what struck me was that everybody, both critics and people in the industry, refer to Twin Peaks as a game-changing show. In all honesty, I felt that there are plenty of Twin Peaks books out there to begin with, and I did not want to make a new Reflections [Brad Dukes' oral history] and Full of Secrets [a collection of scholarly essays on the show]. I wanted to investigate Twin Peaks' position in television history. That would be my approach, hopefully adding something to the collective knowledge about Twin Peaks and hopefully contributing to something else than Reflections or Full of Secrets. I love those books, but I was never interested in making a new version of any existing Twin Peaks-related book. Diane Stevenson's essay seems to have been a strong influence on the book, particularly her use of Todorov's theory of the fantastic. Was it a subject you were already interested in or something that her work opened you up to as you began to research Twin Peaks (or if you first read it, earlier)? What other authors (or fans, or crew members, or others that you read or spoke with) had a strong influence on the book, perhaps even changing its course? I have read Full of Secrets many times, and, yes, Stevenson and Todorov have a clear place in my book. Stevenson's essay is great, and Full of Secrets includes many interesting essays, in all fairness. I also love Martha Nochimson's work, and I have been inspired by the Danish author Anne Jerslev, who presents an interesting psychoanalytic reading of the show. Many books and authors have inspired me, really, and they also include Kenneth Kaleta, Paul A. Woods, Greg Olson and Chris Rodley. Lynch on Lynch is still the best book on David Lynch out there, in my opinion. I have also read Andy Burns' monograph and Brad Dukes' extensive, even exhaustive collection of interviews. I wanted to be certain that my book should not be seen as a new kind of Reflections, so maybe, unconsciously, that helped me stay - somewhat rigidly - on track. I wanted to be sure that I presented my own framework. As a collection of interviews, there can be no better book than Reflections, but I wanted to present, explore and investigate my own hypothesis. I wanted to include my own analyses. I stuck to my overall approach, yet the interviews naturally gave me some new insights and changed my perspective ever so slightly. For example, I didn't intend to look at the mythologization of David Lynch. I was prompted to look at that angle, inasmuch as one of the interviewees, when asked how the scene with "The Surrey with a Fringe on Top" came about, simple answered, "Here we must give credit to the director, David Lynch." But, lo and behold, it was Caleb Deschanel who directed that episode, and that made me think: Have many of the cast and crew members forgotten the actual story, and are they, in fact, just re-telling a 'story' or a myth which has been produced over the course of the last 25 years, i.e. that Twin Peaks was the product of David Lynch's visionary mind. About cast and crew remembering the myth rather than the reality, that was something that Brad also spoke to me about in Reflections. What's the line from Who Shot Liberty Valance? If the legend becomes fact, print the legend. There are scenes or sequences that we, almost automatically, think are real Lynchian scenes. And then it just so happens this was an idea that perhaps [episode director] Leslie Linka Glatter introduced, like the different conventions [gathering at the Great Northern], stuff like that. Then again, we could ask did Lesli Linka Glatter introduce those elements because she was working under the hand of David Lynch? I suppose it's only fair for people to think of elements as slightly Lynchian when discussing Twin Peaks. It's only fair to think of Twin Peaks as a work of David Lynch without even being aware of the fact that he's only directed 6 episodes himself and that he has a shared credit with Mark Frost. Any Twin Peaks fan will of course know that, and any of the cast and crew members. But I don't think there was any one of them who totally on his or her own, without being questioned, said that much about Mark Frost really. 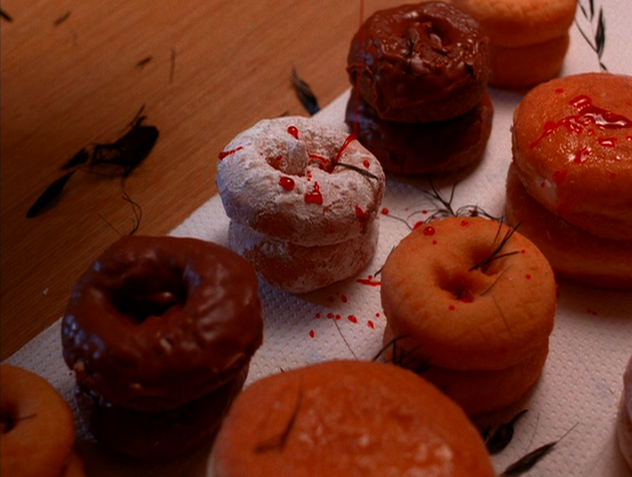 My point was to emphasize that David Lynch has been used as a reference point when marketing the show, i.e. that he has been central to the mythologization of the show as "cinematic" or "more than" regular TV, as a product of an "auteur." That was my intention. Does it fall back on itself? Perhaps. That is not for me to say, but I think that Twin Peaks was in many ways a shared vision, and I think that Mark Frost did more than simply balance the ship. I think, as some of the interviewees do say, that he is a prime storyteller, and, as such, he is very different from David Lynch. Where Lynch thinks in terms of sound and images, I suppose, Frost thinks in terms of plot and characters. My chapter on Lynch as an "auteur" was actually meant as a reflection or a question: Do we tend to overemphasize David Lynch, and was that, in fact, an early example of TV auteurism? I think that we often overemphasize directors or "creators" in the first place, and a TV show is the creation of many different people. Somebody says at the end of the book that the real radical thing that Twin Peaks did with television was to change serialized storytelling, bringing it into a prime-time context and the context of an ongoing mystery. The mechanics of that were more Mark Frost than Lynch, perhaps even the general idea of it was more Frost than Lynch. That would certainly be my guess. It's difficult to say with any degree of certainty who did what, but those who actually are going to say something about it - if they have a positive spin on it... There are books that totally diminish or almost intentionally underappreciate Mark Frost. Greg Olson's biography is probably the most negative take I read on Frost. And I love Martha Nochimson but [according to her book] everything which is Frostian is that uninteresting, rational element and all the interesting, irrational stuff we can say is Lynchian. And I don't know if that's the case but David Lynch doesn't seem all that interested in character and plot consistency. It seems Mark Frost is more of a storyteller and as you say he's the one who takes care of the mechanics, or balances the ship or whatever, but David Lynch is more into creating the moment, into aestheticizing the different scenes. What I'd be interested in seeing, and yes, I haven't managed to explore that in-depth in this particular book, would be to find out what is Mark Frost? Because it's pretty easy to write a book about David Lynch, I've done that, many have done that. We always agree almost intuitively of things being typical of his films, and you can see some clear links between his works. There's things that are easily pointed out as signatures in his work. But Mark Frost, nobody has really tried to do that book. That would be an interest of mine, trying to find out who Mark Frost is. It's difficult because he doesn't have as big of a body of work, but when I was doing my videos on Twin Peaks I looked at The List of 7, the book that he wrote afterwards, and the first three episodes he wrote of Hill Street Blues. I couldn't see his later episodes but even from that small sample it's amazing how many things you can notice. For example, in one episode there is a couple trying to have their romance during their lunch hour and an old room-service waiter keeps knocking on the door and interrupting them and very slowly putting things on the table. Yes, see that's very interesting. The old bellhop, [in the Twin Peaks season two premiere], right? Ok, so there you go. That might just have been a Frostian element. How did you go about contacting fans and fan groups? Was that an angle you always wanted to pursue? There still seems to be some sharp dividing lines between the camps of scholars, critics, and fans though that may be changing (your discussion of scholarly fan studies was particularly interesting in that regard). I posted an inquiry on different Twin Peaks fan sites, and the first twenty fans to answer would be included. Inasmuch as I contacted different sites from different countries, I was hoping to get different fans from different regions, representing diffferent genders and kinds of fandom. I also asked people who made academic, scholarly or artistic work connected to Twin Peaks to contact me, if they were interested in talking with me or letting me use some of their artwork. Afterwards, I posted my questionnaire on different fan sites, and I contacted some of the 'fan celebrities', e.g. John Thorne (Wrapped in Plastic), Josh Eisenstadt ('The Twin Peaks Brain') and Rob Lindley and Lindsey Bowden (festival organizers). I hoped that they would be able to give me some thoughts about fandom in particular. Fandom is an interesting, yet touchy, subject, and it is very difficult talking to fans and writing about their different ideas of fandom and stay loyal to them, respecting their willingness to be a part of the book. But, yes, there are many different ways to be a fan, and sometimes the different understandings of what it means to be a 'true' fan of Twin Peaks collide, causing friction. Taking off your more scholarly, objective hat for a moment, what is your own experience with and perspective on the Twin Peaks fandom, and also "fandom" more generally? My own experience is that most of the Twin Peaks fans are very inclusive, but I have also experienced some strange discussions that basically amount to a kind of 'tug of war' about what a 'true' Twin Peaks fan is. I was at The Twin Peaks UK Festival, and it was a wonderful experience. The organizers and most of the people there are so inclusive and friendly, and there is a loose and lovely atmosphere. However, there were also some fans who implied that I wasn't a 'real' fan of the show, inasmuch as I did not have a VIP Ticket (those tickets were sold out rather quickly, so I was a so-called "Deputy"). That, to me, is a strange way of dividing people - of distinguishing between diehard fans and those people who just happen to enjoy the show. As if there ever was a 'correct' way of engaging with a show, and as if some of us own the show, more so than other people. That some fans actually think that you have to have seen Twin Peaks on ABC during its original run in order to be a 'true' fan also seems kind of strange to me. So can a person from Argentina or Sweden not be a 'true' fan of Twin Peaks, and who has the authority to define what a 'true' fan is? That kind of authority can only be self-imposed, and I am absolutely certain that David Lynch and Mark Frost would be against that. I want to stress, though, that my own experience has mostly - in fact, almost exclusively - been positive. People in the Twin Peaks community are so friendly. Something that struck me about John Thorne's quote, juxtaposing fans who want to immerse themselves in the world and those who want to take a more analytical, active approach to the work...in many cases, the latter group might be seen as the more "serious" or the more in line with the artist's intentions since they aren't just using it for enjoyment. However, in Twin Peaks' case, we have a creator - a widely venerated and celebrated artist - who seems to frown upon analysis ("yellow-pad" fans) and favor more intuitive immersion in the work. I don't know if you had any thoughts on that, but I thought I'd throw it out there to see if you did! Personally, I am an analytical person. I am not into cosplay and re-enactments etc., but it is only lovely, in my view, that some fans take pleasure in doing that. The Twin Peaks fan culture is a "large and interesting" phenomenon. 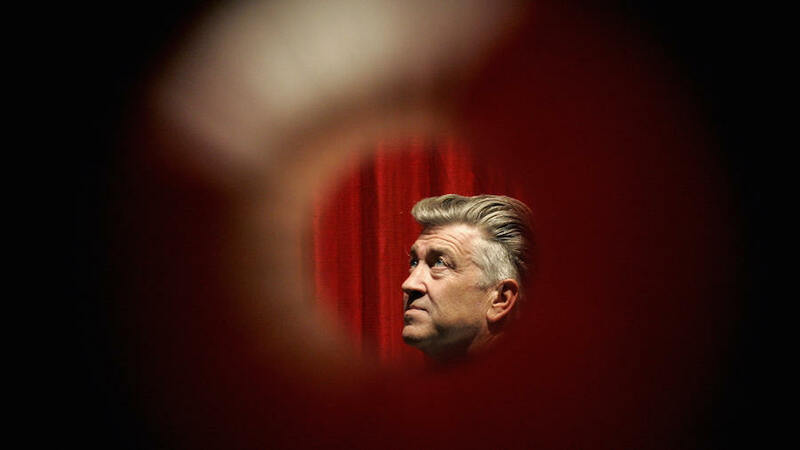 I respect David Lynch's wish not to analyze his own work, but I do not see that as a rejection of different theories, but as an encouragement to find each your own interpretation of his films and TV productions. I love to delve into Twin Peaks, but I am also in love with the visceral side of the show, and I waver whenever it comes to very strict Freudian, Lacanian or Jungian readings of the show. Psychoanalytic, Marxist or feminist readings might be interesting, but often they are seen as the correct or even the final reading. And that, to me, makes no sense when discussing Twin Peaks. We must leave some room for things that do not make sense in a rational sense. Leading off from that, were you conscious of a need to balance the tactile, impressionistic quality of Lynch's work with analytical rigor and precision as scholar and author? Do you feel that discussions of Lynch's work need to take their almost irrational quality into consideration? Yes, exactly. That is one of my main points in [my Danish monograph on Lynch] The Art of Paradox. I think we tend to underemphasize the irrational and that which does not have any concrete meaning, that which does not drive the narrative forward etc. Will The Art of Paradox be available in English as well? It was nominated in two newspapers as the best non-fiction book of the year in 2014, and it received some great reviews. Many have asked me whether I have been thinking about translating it, but it depends on many things. I am not certain that I would want to work on that, and I do not have a publisher. In Denmark we had only one monograph on David Lynch (The Cinema of David Lynch, by Anne Jerslev). It's a psychoanalytic, Freudian, Jungian way of opening all of his works at that time. As much as I'm analytically or intellectually interested in trying to dissect all of his movies I feel that too much of what is out there is a little bit too semiotic and a little bit too psychoanalytic, trying to dissect and read stuff into every minute little detail. I think Anne Jerslev, and also Martha Nochimson, whom I love dearly, explained a lot of stuff but they haven't been able to capture that feeling that I get when I watch his films or when I listen to his films. I wanted to work more on the experiential element. To me David Lynch's work is about paradox, it's about things that don't naturally coincide but they do coincide in his works. All of his films are narratives but they are not necessarily logical. I think there are six paradoxes that are typical of David Lynch's films. First of all, [aesthetic paradox], that's sort of the idea behind Beautiful Dark [Greg Olson's Lynch biography]. I like that title - things that seem ugly are beautiful at the same time. And things that seem beautiful are ugly at the same time. Beauty and ugliness are interconnected and you can't tell them apart in a way. [And genre paradox:] the films and the series connect genres that are not naturally connected, for example soap opera with whodunnit crimes or small-town film with film noir. And then there is the what I would call the narrative paradox, that they seem to be narratives but the narratives are puzzling and not everything adds up. There are elements that seem forever not understandable however much we try. And then there's one I call a register paradox which Gary Hershberger much more eloquently calls "competing moods." We are put in an ambivalent position. We don't know what to think when looking at Ben in Blue Velvet or at the end of Wild at Heart where Sailor sings to Lula. We don't know exactly how are we supposed to react. Like the scene in Twin Peaks, [where James plays music with Donna and Maddy], it's often an ambivalent experience watching and listening to his films. And that is also a paradoxical position to be placed in. One of the other registers is that Diane Stevenson angle, what I call the reality paradox, what's real, what's dream, what's fantasy. Then there's the analysis paradox, how much should I analyze, how much should I just sit back and enjoy this sensual experience. You asked a question that I posed in the book: how much should we just immerse ourselves, and sit back and let it flow over us, or how much should we try to analyze it and deeply understand everything? I think I'm caught in that paradox myself. When we watch a David Lynch movie we think we need to understand everything but at the same time they work on a different level, just subliminally hitting us at a gut level I suppose. I think we might read too much into it if we look for signs all the time in his work. Sometimes there are things there that are just interesting on a pre-analytical level. Often you have this division where either you talk about Lynch as a purely avant-garde artist, like Maya Deren or Jean Cocteau, and narrative and all of the other things are circumstantial, or you get hard-headed and you break it down almost in a Memento or a Lost fashion which also doesn't seem really appropriate. There's those two extremes but like you said, he embodies both of them. He makes films that actually do have that sense that a hidden story is being told so you're pulled in two directions at once. Yes, I describe his films as optical illusions. If I look at him in a certain way I can make everything fit. But then I go, no, that's an impossible figure I can't make that fit so I must go the other direction, and I go the other direction and it still doesn't fit for me. So that's how I feel when watching it. And many in Denmark have compared them to labyrinths or mazes but I don't see it that way because there is a solution. It might be difficult to figure out but I see them much more as optical illusions and that's what keeps making them interesting. Even if David Lynch says you can interpret it your own way and there's no correct reading or whatever he may say, he still goes out and he makes ten clues to Mulholland Drive! And he makes introductions to Twin Peaks with Catherine Coulson when it was syndicated on Bravo. Those introductions are puzzles in themselves really. He likes to attract us into a direction where we think we can find out and then we find out oh it's a dead end or perhaps it's not a dead end, is it? In the end it doesn't really make a lot of difference to me what the oracle thought himself. In that sense I think I agree with David Lynch, every reading can be an interesting one as long as it's based or qualified by actual text or examples. We shouldn't use that as a way for us not ever to engage analytically with this work, we should use it as a way to be open-minded to different analyses of the same scenes. Perfectly articulated. The big problem I have with the postmodern reading of the work is that his work seems so deeply emotional. I spoke to Martha Nochimson last fall and I asked her a similar question about modernism and postmodernism. She definitely sees him being more in tune with the modernists. He's probably more spiritual than a lot of them, but he has the same hunt for meaning and getting past the logos and the rational. I totally agree with that! Because it seems that his work is full of longing, one word that I think is really central. There's a longing for things to make sense. Longing perhaps even for a simpler time when things made sense. And that sense of longing I would never ever connect with postmodernism. Postmodernism is a joyful detached eclectic putting together of different things, often ironically debunking those things. Some people would compare him to Quentin Tarantino, and nothing negative about Quentin Tarantino but I really do think there is a more detached coolness to his work and a much more ironic tone. The tone and feel of what David Lynch does is vividly different from what Quentin Tarantino does so comparing those two and calling them postmodern because both of them refer intertextually to different works...that's a superficial comparison to me. Even when David Lynch includes some melodramatic elements he does that in a way that it also seems very honestly sentimental. I think that's what some people can't take in some of his scenes. The only work where I could ever be in doubt about that really is Wild at Heart, where I think well, that does look a little postmodern in a way. When I show Twin Peaks to my students on university, they react totally different than I would. Say the scene where Sarah, she cries in the phone. Most of them laugh, because it clearly is uncomfortable. It becomes very awkward for me to sit in front of a class of students where I know with a great deal of certainty that 60 or 70% of them will direly dislike this and I love it! (laughs) They will think that this is funny in an unintentional way because it's just clumsy or they will think it is intentional, that he is trying to make fun of Sarah Palmer. And I just don't get how you could read it that way. I see it as a mother who is destroyed and that makes total sense to me. Those of my students who argue that this is unrealistic, they argue that from a perspective of what would you normally see on television. Not from a perspective of how would you actually react in your own life if that were to happen. If one lost one's child, who had perhaps been killed, I'm pretty sure you wouldn't like how that looked on film afterwards. I do understand why it becomes too awkward for some people. But it's definitely not ironic. I wouldn't ever think of it as ironic. Why do you think many people do use postmodernism and irony to explain Lynch's work, even though it is misleading? "David Lynch takes things very seriously. A lot of the things in his films aren’t intended as humor or irony. He sees things very differently from other people. He is an artist – he started as a painter – and he takes things very literally. Things that other people think of as bizarre, he would think are normal or beautiful." (Cited in Halskov 2015, cf. https://detroederum.wordpress.com/boger/tv-peaks/charlotte-stewart/). Despite very much emphasizing the televisual aspect of Twin Peaks, from the title through the structure of the book, you also chose to dwell on Twin Peaks: Fire Walk With Me a fair amount. What motivated that decision and did you reconsider at any point? 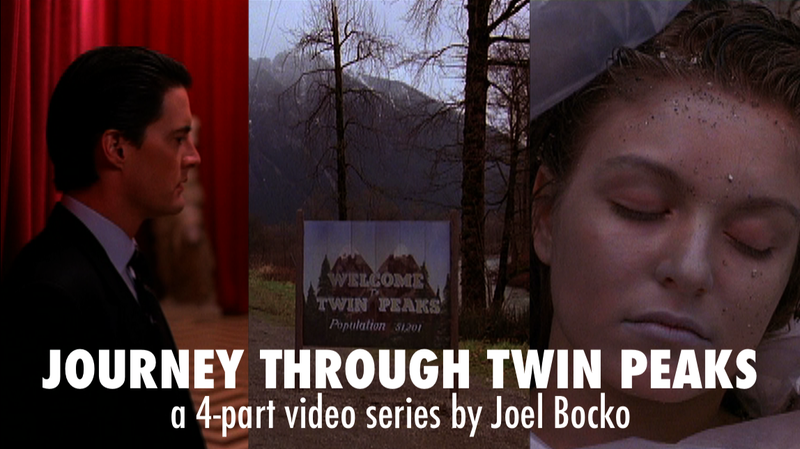 A central point in my book is that Twin Peaks is an early example of transmedia or multiplatform storytelling, and in the storyworld of Twin Peaks, Twin Peaks: Fire Walk With Me plays a central role. Apart from that, I am very fond of that movie, I must say. I felt that by far the most surprising anecdote in the book was Douglas Murray's story about the editing of Fire Walk With Me [which explains that the head of the Cannes Film Festival, Gilles Jacob, saw a very late cut of the film and advised Lynch to remove many scenes and to tone down the sound design of Laura's murder, requests which Lynch accommodated]. Having read a lot about the film in the past year or two, I don't think I'd ever come across anything before that revealed Gilles Jacob's role in reshaping the film! 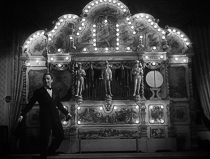 The anecdote also suggests that the deleted scenes may have been part of the movie much later than anyone considered (since picture is usually locked by the mixing stage). I was wondering what your own reaction to that story was and also if Murray had any more interesting anecdotes or insights about Fire Walk With Me that didn't make it into the book. Everything Murray said on this particular sequence was included, and, yes, it was also rather surprising to me. The sound design in both Twin Peaks and Fire Walk With Me is interesting, and that ending would have been totally different had they chosen to go with the original sound design. And to think that they had made stabbing sounds - you can hear a knife going into the chest. He talks about that, Douglas Murray, and there is no knife, he never kills her with a knife! He kills her with a blunt object. There's something very strange about that, but I suppose that would just be an effective use of sound, there's nothing more in that. Lynch talks about having final cut and not changing anything, so there must have been a part of him that agreed with Jacob. If he really felt that it was wrong to change that, he would have left it in. It almost would have been counterintuitive [to use the sound design rather than the classical score which mostly replaces it] because it seems like that scene isn't really about her being killed, it's about her seeing the angel and taking the ring and defeating Bob that way. Douglas Murray recognizes that as well. It becomes emotional in a different way. I think the other version would have been over-the-top. But I think they did choose the correct way of going out of that movie. That there would have been no let-up, the intensity would have been pumping from the very get-go to the very ending. There is sort of a sense, that you opened the lid and there is a sense of relief in the ending. There is something to that. Yeah, and I'm the most agnostic person you can think of so I don't believe in angels or anything like that. But there's something very beautiful to that ending. In a way, perhaps in a very gruesome way, there is a beauty to her death and it's an escape for her from a life that resembled hell much more than death would in a way. 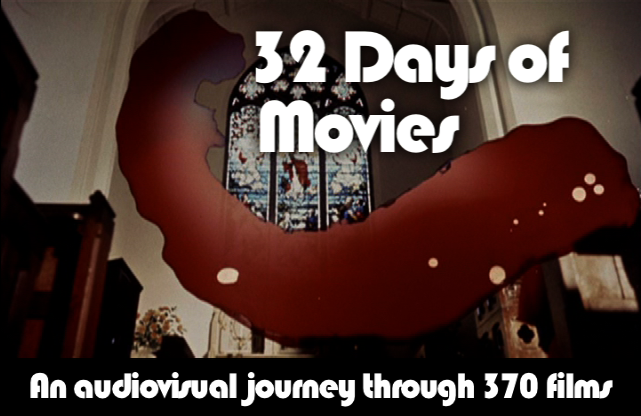 Can you describe your decision to make video essays and to work with Jan Oxholm? What did you learn from this process vs. simply writing about media? We are both editors of the scholarly non-profit film journal www.16:9.dk, which is an academic journal loosely connected to Aarhus University. 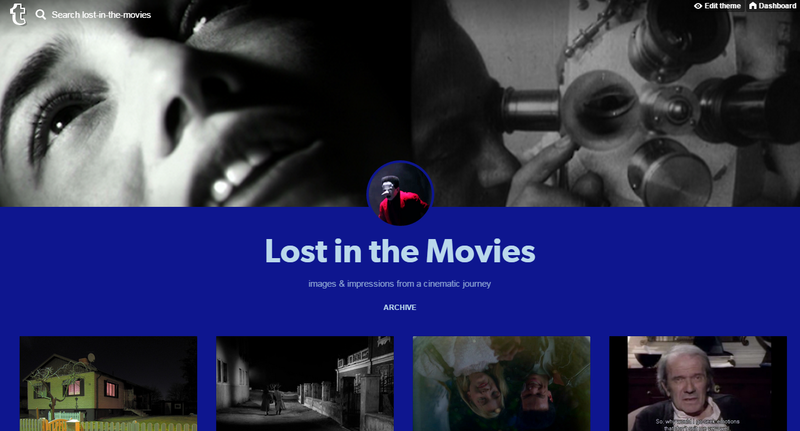 At one point, we decided to make video-essays, inasmuch as video-essays are an interesting genre that appeal to a different type of 'reader'. At that time, I had written The Art of Paradox, so Jan Oxholm asked me whether I would write a few video-essays on David Lynch. That is basically how we began making video-essays. As a video essayist myself, I find that it is able to do something you spoke of as being a challenge - capturing the mood of his work while also offering an analytical perspective. Did you deliver text to your collaborator and allow them to arrange all the clips or did you work closely with them to achieve a certain rhythm or approach? I haven't seen that many videos created through a partnership, particularly where one person is mostly providing the content and the other is mostly providing the mechanics, so I would love to hear more about that process, as well as what you got from it as a critic and scholar. I totally agree. The video-essay or audiovisual essay, as some prefer to call it, is an interesting genre that is yet to be fully explored. On 16:9 we have chosen to let one person write the script and to have another editor write and comment upon the script, and then Jan Oxholm would assist when doing the sound recording, and, afterwards, he would cut together the audiovisual examples, which the writer of the video-essay had chosen, and he would try to create a sense of flow and organic unity. That collaboration is actually quite interesting, and I find that you need to be very precise and succinct when doing a video-essay. People rarely watch those video-essays for more than 10 minutes, and you need some breaks too. Hence, you will often have to fit your central points into two pages of text. It is a restricted format, in a way, but the genre is better in terms of actually illustrating the analytical points. There are aesthetic and pedagogical or critical qualities to video-essays, and we are continually trying to explore what they are. And, as we know from David Lynch, working within format-based restrictions can sometimes make for better results. "Necessity is the mother of invention," I guess. What, if anything, do you regret not being able to include in a book and do you think you would update future editions to cover the new series, or write a new book completely? I regret not having been able to interview Mark Frost and Kyle MacLachlan, who cordially declined to be interviewed, and I regret not having been able to make a new interview with David Lynch. I might do a revised version later, but that would depend on many different factors, e.g. whether I could get a new interview. Otherwise, I would rather go on to research another, but closely related subject. You can always revise whatever you have done, but, in general, I am happy with the result, I must say. TV Peaks is available on Amazon, and Andreas' video work is often exhibited on 16:9. You were correct Joel- I found this very interesting. One thing that is sticking out to me as a Twin Peaks fan who (like many of us) know people who never were able to get into the series: that notion of how awkwardness is a quality common to much of Lynch's work. It's fascinating to think of how successful the pilot was, when the first half hour (!) 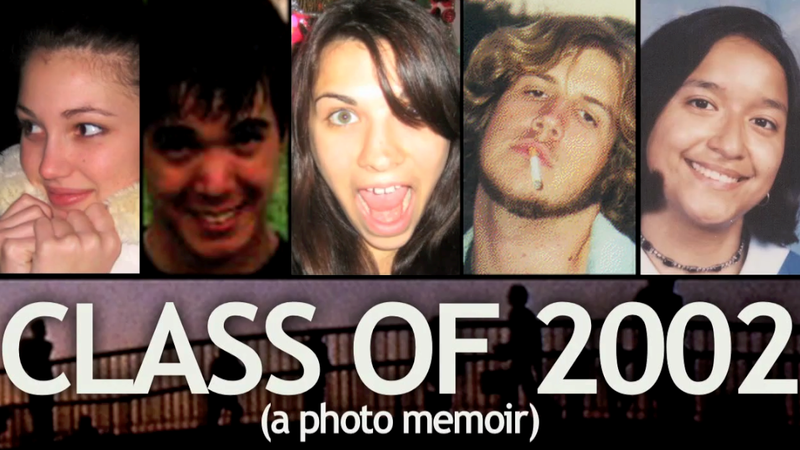 is crying, wailing and the gnashing of teeth over Laura's death. Perhaps this is what makes Cooper's arrival so striking: there's a sense that "This guy will take care of things. He's got it handled." I also loved the thought of Lynch's work as an optical illusion, rather than a maze. It's that quality that keeps us analytical types wanting to keep at it (but also allow ourselves to let go and dream, now and then). Halksov's video essay on static and noise was excellent as well. Great interview! Glad you enjoyed it, Jubel. I agree completely about the pilot. Even as someone whose favorite part of Twin Peaks is FWWM, I initially found the somber opening half hour a bit hard to take. Cooper's arrival felt like a big relief and I think the show plays with that dynamic for the rest of its running length (or at least until the mystery is solved): luring us into the mystery but giving us a sense of purpose and comfort as well. It's a fascinating dynamic having not only to do with David Lynch but the Lynch-Frost partnership too. <3 Lost in the Movies!!! You are bæ! !